HA NOI (VNS) — Nearly 26 million shares of the Hoang Anh Gia Lai Group (HAG), worth VND390.5 billion (US$17.4 million), were traded via negotiations during the HCM Stock Exchange's last two sessions. The shares, representing a 3.26 per cent stake of the company's total outstanding shares, were reportedly sold by foreign investors, believed to be Credit Suisse (Hong Kong) Limited, which has sold HAG shares continuously since July. Credit Suisse unloaded 29 million shares of Hoang Anh Gia Lai Co in July, thereby reducing its holding there to about 51.5 million shares, or 6.52 per cent of HAG's charter capital. The Hong Kong-based institution remains HAG's second-largest shareholder, after company Chairman Doan Nguyen Duc, who has a 44 per cent stake. HAG is one of the top 30 shares by market capitalisation on the HCM Stock Exchange, with a market value of almost VND11.7 trillion ($520 million). Its main business focuses on agriculture and the real estate sector. 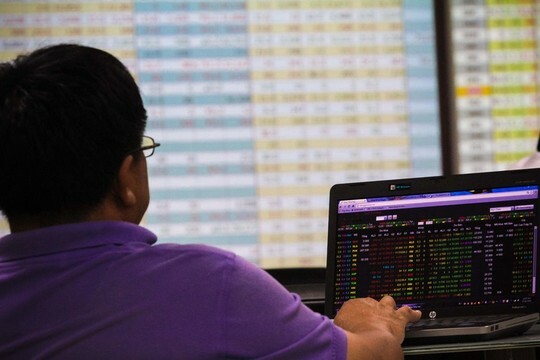 Foreign investors such as Credit Suisse, Jaccar Capital, Dragon Capital and VNM, besides FTSE Viet Nam exchange-traded funds, have almost a 43 per cent stake in the company. However, the price of HAG shares has been falling this year. It has lost nearly 50 per cent in value since its peak of VND26,400 ($1.17) on October 2, 2014, despite its positive business results. It closed Tuesday's session at VND14,800 per share ($0.66). Shares also performed poorly on the day before the National Day holiday. The benchmark VN-Index in HCM City declined 0.43 per cent to end at 562.31 points. August was the gloomiest trading month since the beginning of this year. The VN-Index lost 56.3 points, or more than nine per cent, in just one month and nearly VND97.5 trillion ($4.33 billion) were washed out from the market. The domestic market was heavily influenced by external factors such as the Chinese currency devaluation and the global oil slump, and internal issues such as the depreciation of the dong and the fluctuation of the foreign exchange rate in commercial banks. The market volatility also triggered capital outflows from foreign sectors, as they shifted to a net selling position after several months of net buying. They bought more than 201 million shares, worth VND6.96 trillion ($309.5 million), in August, but sold nearly 221 million shares worth nearly VND7.34 trillion ($326.2 million). The net selling involved 20 million shares, worth about VND374 billion ($16.6 million). HAG also suffered the heaviest foreign selling of nearly 15.2 million shares, worth more than VND227 billion ($10.1 million), accounting for nearly two-thirds of the foreign net selling volume and about 95 per cent of their net selling value on the HCM City market in August.